Walking barefoot along its shore is at its best. From an inner core its secret is gradually told. Slowly washing away all her woes. All that around her nature unfolds. 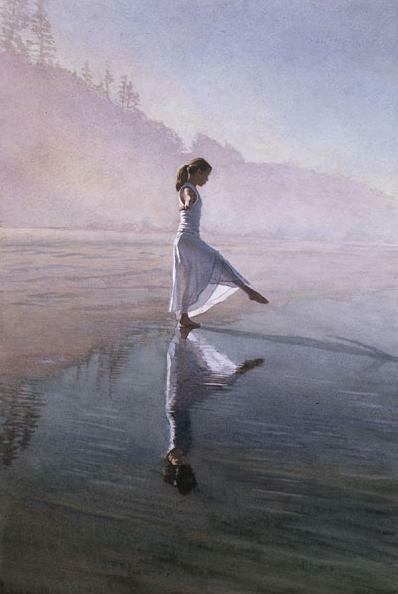 Her mirrored self glistens on the water. The edges of the tide swell into her every cell. In mystery she feels herself converge under its spell. She begins to sense the flow of nature’s melody. Lifting her up to break into a dance carefree. Her being in new waves expanded. She continues to dance upon the sand.